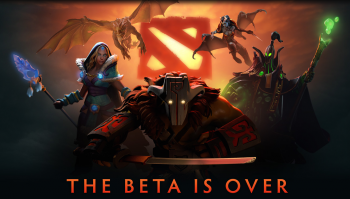 Valve's Dota 2 is out of beta and releasing on time... sort of. Dota 2 has been in an invite-only "closed" beta for two years now. It's been long enough that you'd be forgiven for forgetting that the game technically isn't complete, despite having a monthly user base of over three million active players. Evidently, the quality gurus over at Valve have decided that the game is finally ready for the public. An announcement today explained that the MOBA will be officially launching in a gradual multi-phase process, to ensure that the servers can support a massive influx of noobs eager new players. Many of you probably have an invite to the Dota 2 beta in your Steam inventory, if not multiple - Valve hasn't been stingy in dishing them out. If not, getting into the game won't be quite as easy as downloading the client and pressing play. Upon visiting the Dota 2 Steam page and adding the free-to-play title to your library, you'll be entered into a launch queue. Players will be notified by email when a position is available in-game, and after that point logging on should be instant. So even the not-beta will involve waiting for an invite to come play. It's just for logistics at this point, though: Valve notes that the number of concurrent users has been peaking at 300,000, and additional servers are ready to support an additional 450,000. Deciding when and where to deploy those machines is complicated for a launch of this scale, but it seems like the folks at Valve have done their homework to prepare for a smooth launch.